Named for the Baron De Kalb, mentor of Lafayette and General in the American Revolution; De Kalb is the oldest viable settlement in the county. Named in honor of Jim Bowie, defender of the Alamo, Bowie County was formed in 1840 from old Red River County. First settled around 1820, the county is bound on the south by the Sulphur River and to the north, the Red River, the state line separating Texas from Arkansas and Oklahoma. Today the community offers the values of rural life with the easy accessibility of nearby urban areas. De Kalb is the birthplace of Dan Blocker, "Eric 'Hoss' Cartwright." Born 10 December, 1928, Blocker died 13 May, 1972, and is buried in the Blocker family plot in De Kalb. He starred in the "Bonanza" series from 1959-72. In addition, one time resident Huddie "Leadbelly" Ledbetter, of the "Goodnight, Irene" fame, wrote "De Kalb Blues" here. A Bowie County murder conviction, in 1918, sent the bluesman to prison, where he wrote "Midnight Special." Bowie County is served by 11 independent school districts. Academic learning is given the highest priority. Nationally recognized band, athletic and other extra-curricular programs are provided to broaden the 963 students. In addition to college prep education, vocational courses such as meat processing, mechanics, computer, interior design and others are offered. Within a 45-minute drive, Northeast Texas Community College, near Mt. Pleasant, and Texarkana College offer a wide range of associate college degree programs; while Texas A&M, at Texarkana, offers graduate and post-graduate degrees. Texarkana College also has a vocational-career branch. Four hospitals are within a 45 mile radius of De Kalb, including two trauma level I facilities. A fully staffed professional ambulance service, including AirLife, serves the area. De Kalb has a 24-hour professional police department; a volunteer fire department with up-to-date equipment and vehicles. County residents are served by the Bowie County Sheriff's Department. Livestock is the most important agricultural commodity in Bowie County, with extensive production of beef cattle, dairy products and poultry. The area is dotted with horse farms - thoroughbreds for racing; quarter horses for cutting horse competition. There are an estimated 75,000 acres of timberland; 58,000 acres of pasture. Crop cultivation includes soybeans, rice, alfalfa, corn and hay. A wide range of recreational activities, including public and private golf courses, tennis and swimming are available in the county. De Kalb offers an excellent basketball program and well organized baseball, softball programs, on 5 fields at the City Park. 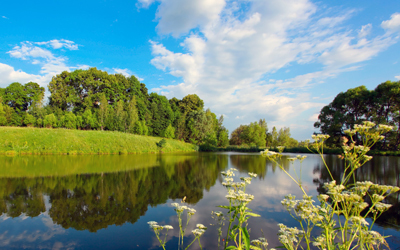 Centrally located, De Kalb is less than an hour away from some of the best fishing and water sports in 3 states. Lake Wright Patman, 20,300 acres, 10 miles SW of Texarkana, on the Sulphur River; Bob Sandlin Lake, 9,460 acres, 5 miles SW of Mt. Pleasant (35 miles from De Kalb); Broken Bow Lake, OK, 14,200 acres, on the Mountain Fork River, 10 miles north of Broken Bow (60 miles from De Kalb); Millwood Lake, AR, 29,000 acres on the Little River, Rolling Fork, Cossatot and Saline Rivers, near Ashdown, AR (50 miles from De Kalb). Take your boat and go skiing or fishing or just explore the pristine wilderness areas. Public boat ramps, marinas and camping sites (full service and primitive) are available. Lake Wright Patman also offers 78,300 acres of public hunting. Legal game species are White-tailed deer, Feral hog, rabbit, squirrel, Bobwhite quail, mourning dove and Eastern wild turkeys. The 20,300 acres of water also offer an outstanding waterfowl habitat. 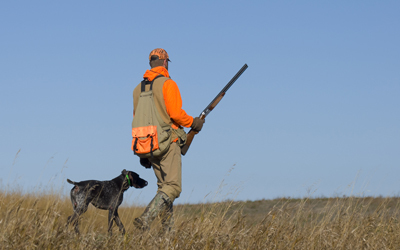 Hunting leases on private lands are available, as is membership in the De Kalb Wildlife Club. Events covering a wide range of interests take place in De Kalb and the 4 States area. Musicals, touring Broadway productions and other entertainment can be seen at the Perot Theater in Texarkana, also home to the annual 4 States Fair and Rodeo and professional hockey. In De Kalb, watch nationally recognized Cutting Horse competitions in the indoor arena; cook or just sample some of the best chili made from scratch at the annual "Saturday in the Park," the last Saturday in September, then spend the next Saturday in downtown De Kalb celebrating "Oktoberfest." Horse racing can be found in Hot Springs, AR, and Bossier City, LA, both within a 2 hour drive from De Kalb. Bossier City and Shreveport also offer a number of casinos.